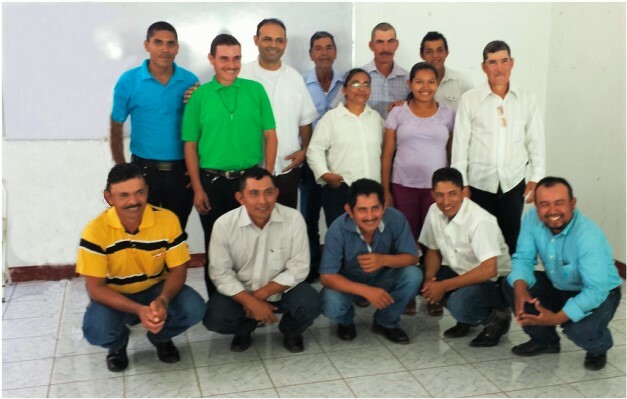 The Catholic parishes of Shelby County, IA are working to build a relationship with the people of Villa Sandino, Nicaragua through friendships, prayer, solidarity and sustainable livelihood projects. The Parish of St. Peter the Apostle, under the Archdiocese of Chontales, is located in the municipal county seat Villa Sandino. Villa Sandino, our sister parish, includes the following 13 rural communities; Riíto, Hamacas, Sierrawas Santa Clara, Lajeroso, Las Pavitas, Garrobito, El Guabo, Guapinol, Baztazo, Conception, Kinama y El Guarumo. St. Peter the Apostle is pastored by Fr. Alexis Vargas. Want to help this community from afar? Consider a donation towards the solar project!